The NLCFN was established in 1999 to provide networking and support to nurses specialising in the care of people with lung cancer. Each year the annual conference is a great place for nurse specialists to meet colleagues and lung cancer experts. > The conference this year at Solihull entitled: New horizons: The changing landscape of lung cancer management is full of best practice and latest developments in the diagnosis and management of lung cancer and mesothelioma. > LASAG advisors Marika Townsend and Yvonne Miah both attended to advise their nursing colleagues of the way that LASAG operates and how it can help their patients in London and the South East. 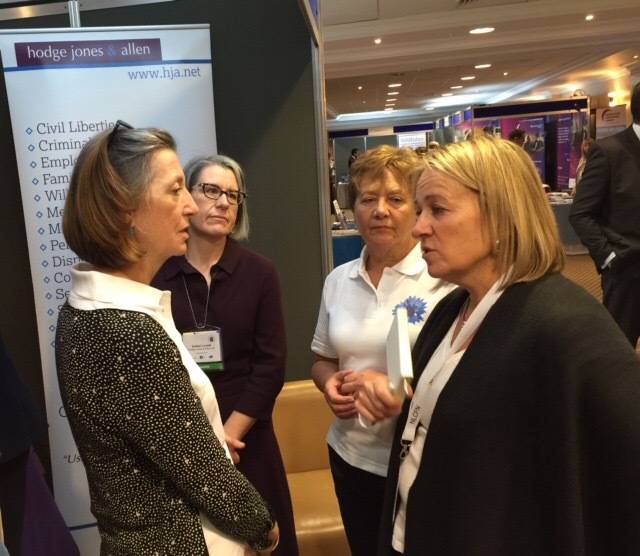 > Pictured here Yvonne and Marika discuss Mesothelioma care with Liz Darlison Director of Services of Mesothelioma U.K.